If you’re going to spend that much time and money on a test machine, why not make the most of the data you receive? 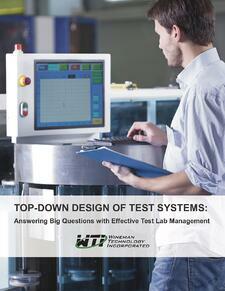 Learn how to design test systems that answer big picture questions, as well as efficiently manage entire test labs using a systematic, more automated methodology that takes advantage of today’s technologies. Download the ebook by completing the form to the right.